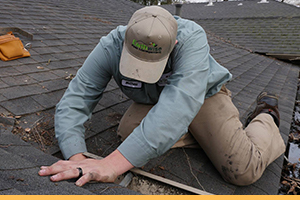 Earthwise Pest Management has a passion for providing long-term pest management solutions for the Sacramento area. Our owner Joe Hawkins is a second generation Pest Management Professional. He grew up around the industry and developed a keen understanding of pests and home pest control at an early age. 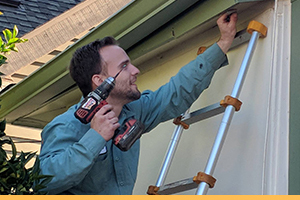 After working for several companies out of high school, Joe decided he wanted to start a pest control company where the focus was on Integrated Pest Management and responsible pest removal and exclusion. So Earthwise Pest Management was formed. 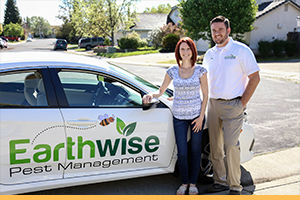 Earthwise Pest Management is a company that genuinely understands pest management methods. We are always educating ourselves with current technologies and the latest in products. All the technicians at Earthwise Pest Management participate in extensive training and testing in the fields of biology, pest control techniques, materials and much more. This probably doesn’t mean much to you unless we actually solve your pest problems. The valuable part of this training is that the knowledge that we gain allows us to provide you with solutions that yield long term results. Our efforts are aimed at getting rid of pests and rodents while preventing the potential damage they can cause – in the most environmentally responsible way possible. By having a thorough knowledge and understanding of pests, pest management methods and the materials that we use, we can ensure that your pest problem is handled responsibly and safely. That’s what helps differentiate us as a commercial pest management and residential pest control company in Sacramento. Now that you’ve learned a little bit more about the individuals that make up our team take some time to learn about the approach that we take with pest control problems. While the quality of our team members is one of the components that differentiate us from other pest control companies, our approach is another significant reason that choosing to work with our pest control company is so beneficial. Earthwise Pest Management uses a process called Integrated Pest Management (IPM). IPM is an environmentally responsible system of managing pests by eliminating their sources of food, water, and shelter. IPM incorporates three steps: inspection, identification, and treatment. Our focus is on the inspection and identification steps so that we can provide you with a thorough and successful treatment. Keep reading to get a better understanding of our method and what you can anticipate when you select Earthwise Pest Management as your pest control company. The first step of our process is a thorough inspection of your space and the infestation. Primarily, this inspection focuses on our team locating the breeding sites of the pest and finding their harborage areas. The areas that pests make a home and breed in tells us a lot about how future infestations could be avoided, what drew them there in the first place, and will be a crucial piece in our team determining how to best treat the infestation. 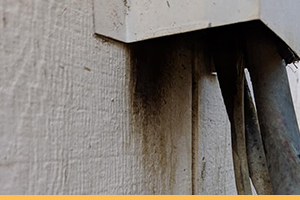 Our inspections truly are detailed — we look at every component and factor that could contribute to the start of the infestation. Integrated pest management focuses on removing the key elements that draw pests to a place in order to use minimal pesticides while treating an infestation, but also so that infestations don’t happen later on. To provide you with the very best results, our team may ask you some questions about the place where the infestation is taking place so that we can fully understand the circumstances. The more information that we can collect, the better results we’ll be able to provide you with. Every pest is going to need a different form of treatment. That being said, the second piece of IPM is pest identification. This step is crucial to determine the best treatment and provide you with prevention techniques for the future. While most infestations will make it evident as to which pest you’re dealing with, there is still quite a bit of identification that needs to be done. One of the first things that we need to determine when we identify a pest is the specific type of pest at hand. While you may know that there is a rodent issue that you’re struggling with, we need to determine what kind of rodent to recognize dangers and determine the best treatment. We will also try to identify how mature the infestation is so that we can adequately tackle the problem. Once our team has collected all of the information that we need, it’s time to move on to the final step: treatment procedure and prevention techniques. It’s important to note that our team might come to you with a variety of techniques and prevention measures to adequately tackle the infestation at hand. Integrated pest management strives to minimize the use of pesticides while fully focusing on changes that can be made to eliminate the pests and reduce the chances of them returning in the future. Some of the common treatments and suggestions that we’ll make are installing or repairing screens, sealing up cracks or patching up holes, changing sanitation practices, and the like. Depending on the items that attracted the pests to your home or business in the first place, our team will work together to compile ways that you can make the space less appealing to pests later on. If you have any questions about the treatments or proactive steps that we bring to the table, feel free to ask us, and we can provide you with more information on why we made the suggestion and how the problem at hand contributed to the infestation. Since integrated pest management strives to remove pesticides from the picture, we do always suggest routine follow up with our team of professionals. We will work tirelessly to ensure that conditions are being managed and cared for so that infestations don’t continue to happen. Each time that we visit your location, we will walk through the same steps so that each instance is treated uniquely and taken care of accordingly. Integrated Pest Management is a natural, and safe method of managing pest problems. If you’re looking for a safe approach to handling the problem on your hands, with a long-term solution in mind, then it’s time to reach out to our team to schedule your free consultation. Choosing a pest control company in Sacramento is an important choice that needs to be thought out. You need to determine if the organization is a quality company with exceptionally prepared, capable, and friendly professionals. As you begin to search for the right company for your needs, you may start to notice that there are endless options for you to choose from. The following points that we’re going to cover can help narrow down the available options so that you feel confident in the choice that you make. When hiring someone, you want to make sure that they have experience — always! Regardless of the pest that you are dealing with, finding a pest control company that has years of experience under their belt can ensure that you’re confident in your choice. Not only will this reassure you that they know how to handle the problem at hand, but you can anticipate a great experience throughout the process of working with them. Pest control isn’t rocket science, but it is science. A thorough knowledge of pests, their climates, and the circumstances necessary for them to thrive is something that every pest control professional should have. Unfortunately, that’s not always the case. As you begin the search for the right pest control professional, you should always inquire about the knowledge that they have in regards to pests. A part of this will be tied to their experience, but you should also ask about the training and education that back up their knowledge of pests. Knowledge is a crucial piece of being able to provide customers with the pest-free results that they want, especially when it comes to companies using the IPM approach. If you’re fine doing the legwork to find the right company, but you need a little bit of reassurance, reviews are one of the best ways to find a qualified company. Finding a reputable company becomes much easier when you have the chance to look at the experiences that some people have in the past. Whether it’s the customer service that you can expect or the results that individuals had with the treatments, it’s always good to check out reviews. If you’re interested in learning more about what our customers have said, check out a few of our testimonials — we have nothing to hide! When you choose a company to work with you, want to find a company that’s working for you. Quality customer service is tough to come by these days, but that doesn’t mean that you should settle for any less than you deserve. Reviews are a great way to get a glimpse of the customer service that previous customers have received, but the little time that you spend communicating with a pest control company is also a great way to gauge the experience that you’ll have. From the moment that you contact our team to schedule your consultation, you will see just how dedicated to quality customer service we are. We genuinely strive to provide our customers with an experience that is stress-free and provides you with results. Without a doubt, one of the most important parts of hiring a pest control company is the results that they’ll provide you with. At Earthwise Pest Management, we take pride in the approach that we take towards solving pest control problems. We strive to provide long-term results that leave homeowners and business owners alike with a solution to their pest control problems but also reduce the chances of them happening in the future. Methods and results aren’t something that everyone looks into when they search for a pest control company because results feel like a warranted part of hiring a professional. Though that may be the case, it’s essential to look into the methods and results that a company is looking to offer.you. Finding the right pest management company doesn’t have to be difficult. Earthwise Pest Management promises to provide experience and solutions every time that you choose our company. If you’re ready to schedule your services with our team, reach out to us today. We will schedule a time for your consultation and inspection so that we can provide you with a long-term solution. We make scheduling easy to eliminate any inconvenience to you. Best of all, we solve your pest problems! It’s the Earthwise Pest Management guarantee. Not convinced? Read the Top 6 Reasons to Hire Earthwise Pest Management. We are proud to offer our services to countless individuals in California. We believe that affordable pest control services are something that all individuals should be able to afford. Browse the list below for areas that we serve and contact us today to book your services.